You can now pick up a first generation Tesco Hudl for just £79 direct from the supermarket giant, a saving of £40 from the original retail price of £119. The tablet may be a year old and it's just been superseded by the Tesco Hudl 2, but at its new price point (£50 less than the Hudl 2) it's still offering great value for money. In fact, Tesco customers can pick it up for even less with Clubcard Boost converting £5 vouchers into £10 worth of credit against your Hudl purchase. There's only limited stock of the original Hudl though, with the Tesco website warning: "But hurry, when it's gone, it's gone." 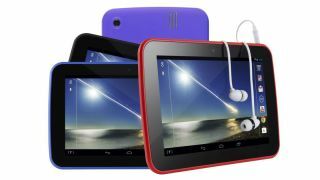 The Tesco Hudl sports a 7-inch 1440 x 900 display, 1.5GHz quad-core processor, 1GB of RAM, 16GB of internal storage, microSD slot, 3MP rear camera and almost stock Android 4.2 Jelly Bean.